Low Level, Addicted to Chaos art show out on the patio! 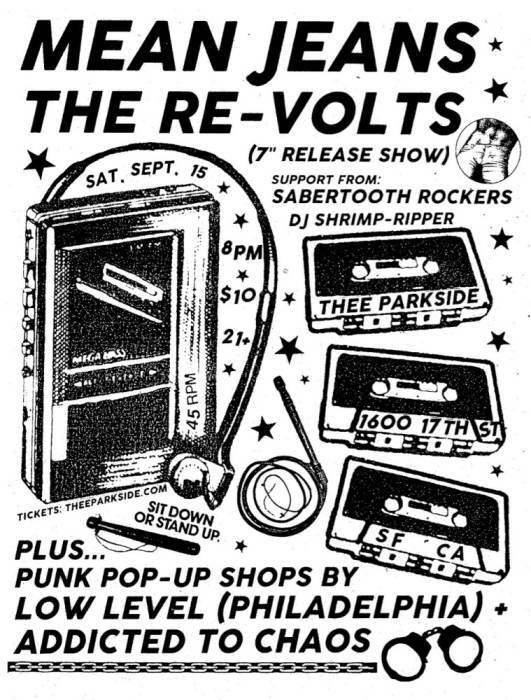 Get into the night with the Re-Volts, an original, punk boogie band from San Francisco, consisting of Spike Slawson (Me First and the Gimme Gimmes, Uke-Hunt) on vocals, He Who Cannot be Named (the Dwarves) on farfisa, Paul Oxborrow (the Primitive Hearts, So What, Genuine Parts) on bass, Colin Delaney (the Hooks) on drums, Bone Cootes on the guitar, and Rob Goodson (Sob Stories, Cocktails) also on guitar! SF’s premier outsider rock outfit is primed and ready to fulfill and exceed all of your live entertainment expectations with a high-intensity musical set of inflammable, original material and select covers. 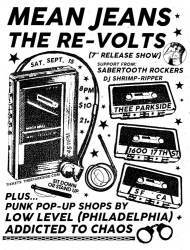 Hidden away in poorly-lit, bug-infested enclosures on the seedier sides of town, the eccentric outliers that make up this group endeavored to put their re-volting, dystopian worldview to a steady rock and roll beat, and are now itching to unburden themselves publicly. 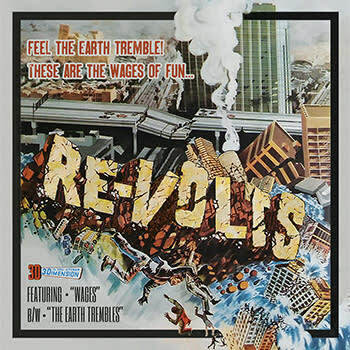 Having just released their new 7” with two brand new original songs on Pirates Press Records (more in store), there is no better time to see the Re-Volts than right now! New Bay Are Punk Band featuring members of Isaac Rother & The Phantoms!